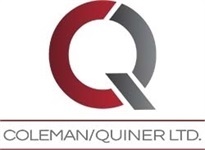 The three of us at Coleman/Quiner Ltd. share a combined 90 years in insurance and investing. We help clients put together plans they can understand, plans that meet their wants as well as their needs. Then we work together to put those plans into action. With the strength of that experience, our hope is that you’ll feel we are not only knowledgeable and helpful, but also caring and able to communicate the ideas we have in a down‐to‐earth, easy-to-understand way. So if you’re looking for people who will talk down to you or over your head, or who will hand over a 50‐page, single‐spaced report without concern for you on a personal level, then we are not a good fit! But if you’re looking for something different, we’d love the chance to meet and explore the possibility of creating a relationship that’s beneficial and rewarding. We create strategies tailored to your goals. We unlock the emotional barriers that restrict the enjoyment of money.